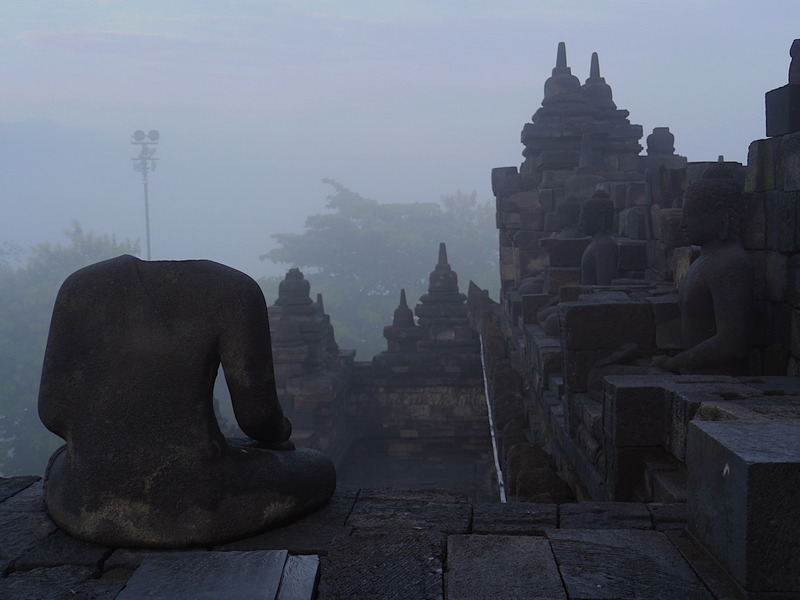 I was determined to visit Borobudur Temple independently, however I couldn’t make it on my first day there. I arrived at the site in the late morning, and the sun was so hot and relentless I had to take refuge in the hall of the Manohara Center of Buddhist Studies. 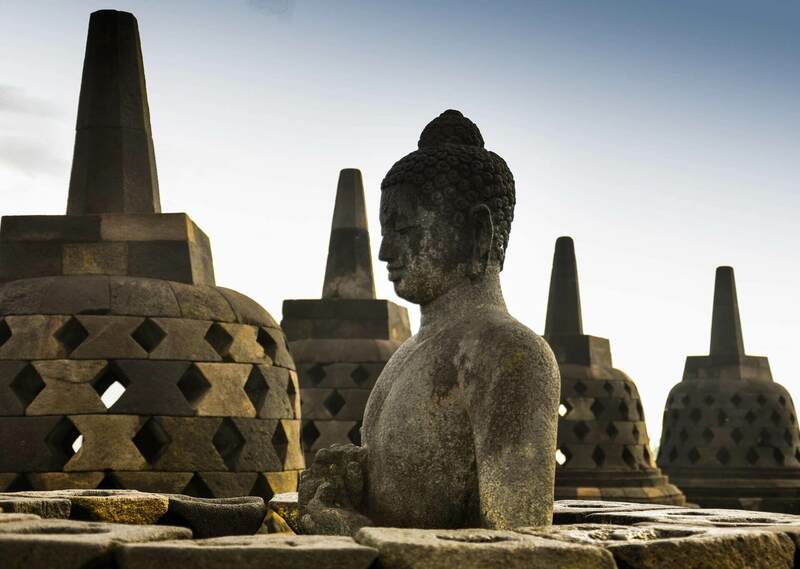 The institute is a few steps from the entrance of the temple and it’s the place where you can book your Borobudur sunrise tour. The extreme weather is only one of the reasons why you should get there before sunrise. 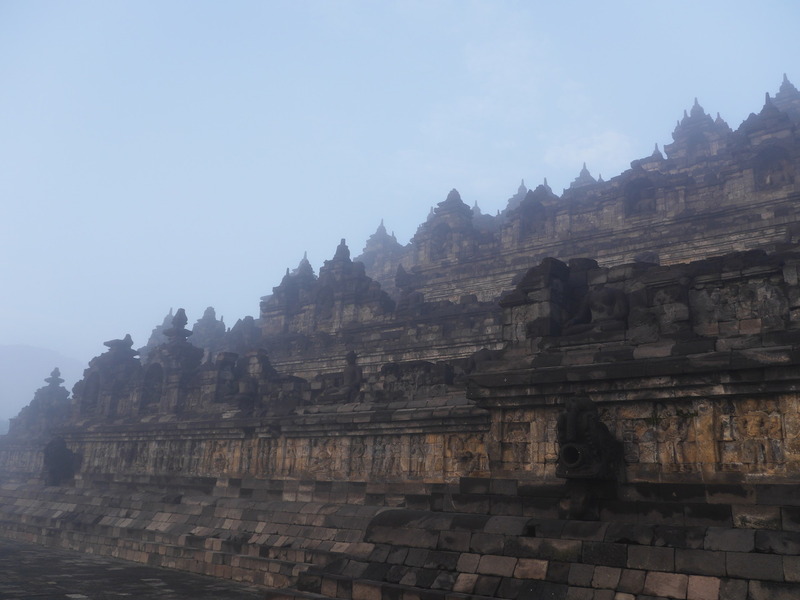 The temple is the main target of tourism in Java, and you want to explore it without too many travelers around. 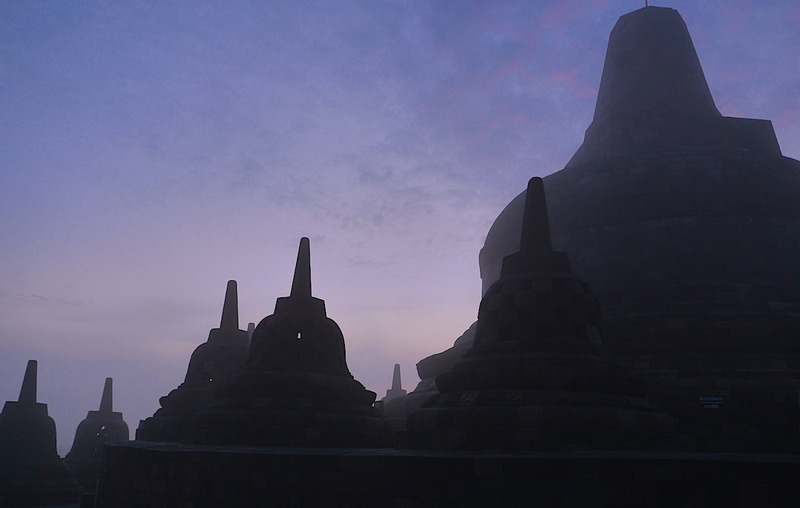 And that’s the other important reason why to visit the place with a ticket for the sunrise tour. 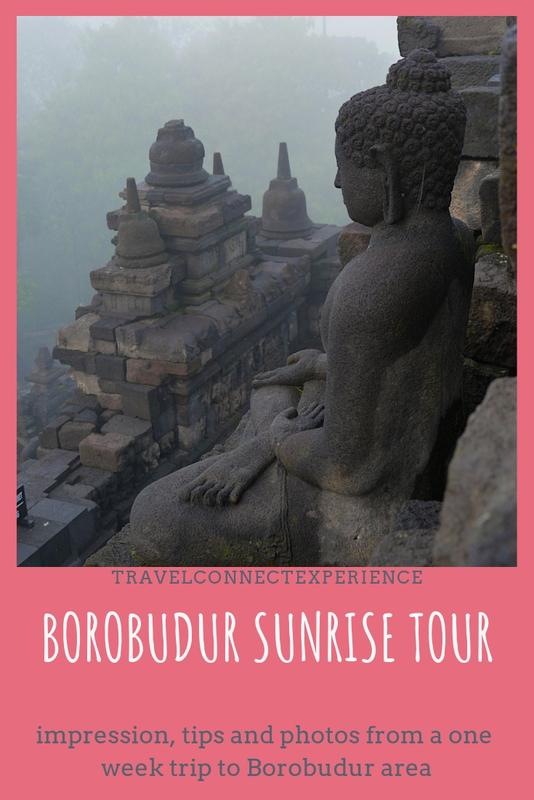 Getting a ticket for what the locals call “Borobudur sunrise tour” will let you gain entrance to the temple 20 minutes before the sun comes out of the horizon. 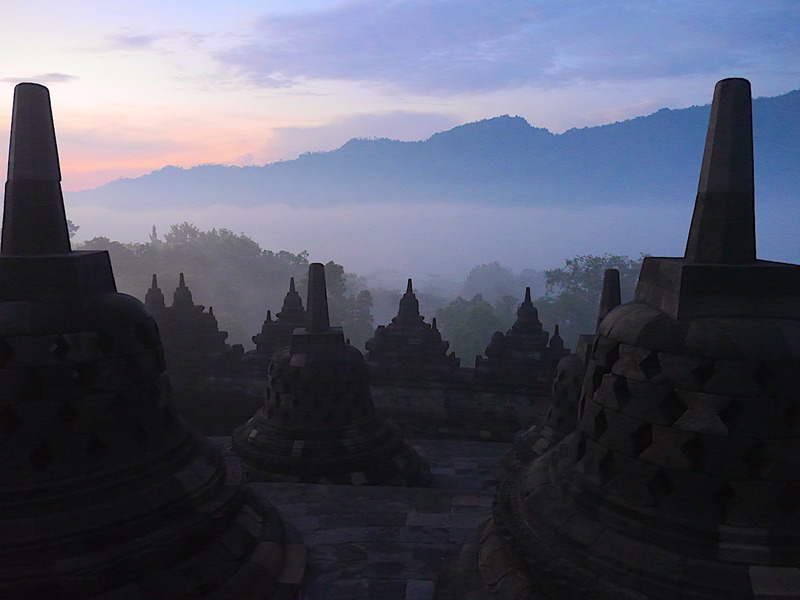 Apart from having the chance to take photos of the temple with the mysterious light of the sunrise, you will be able to gain precious time to explore. Both the temple and the hotel are surrounded by a huge park which is best explored by bike, and with some time on your hands. The constant sound of Tibetan bowls and the local visitors in traditional dresses will invite you to go slow, relax, and observe. The sunrise ticket doesn’t normally provide any official guide: it only lets you in at 4:30, one hour before the “official” opening of the gates of the temple. I really appreciated to get there so early and to walk around the majestic works, taking all the photos I wanted in quiet. Furthermore, there is a breakfast included! 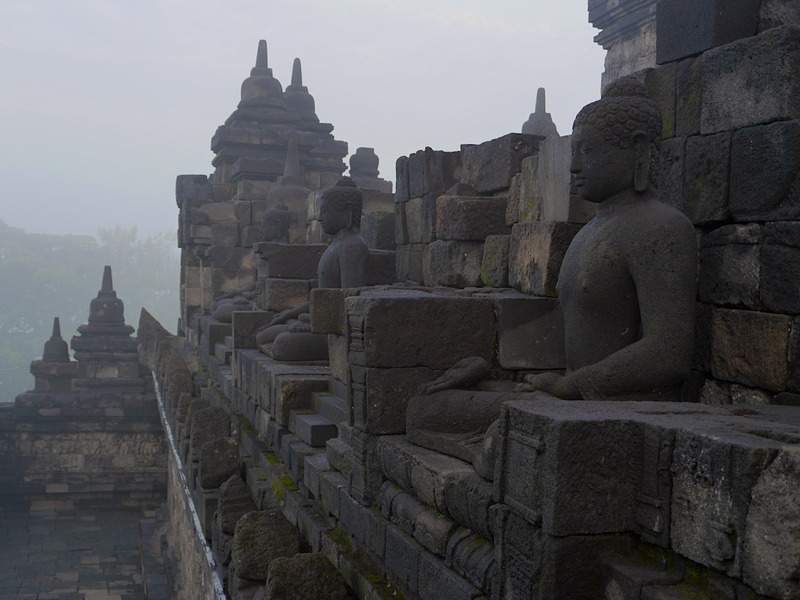 Without realizing it, time passed easily and I stayed in Borobudur for one week. 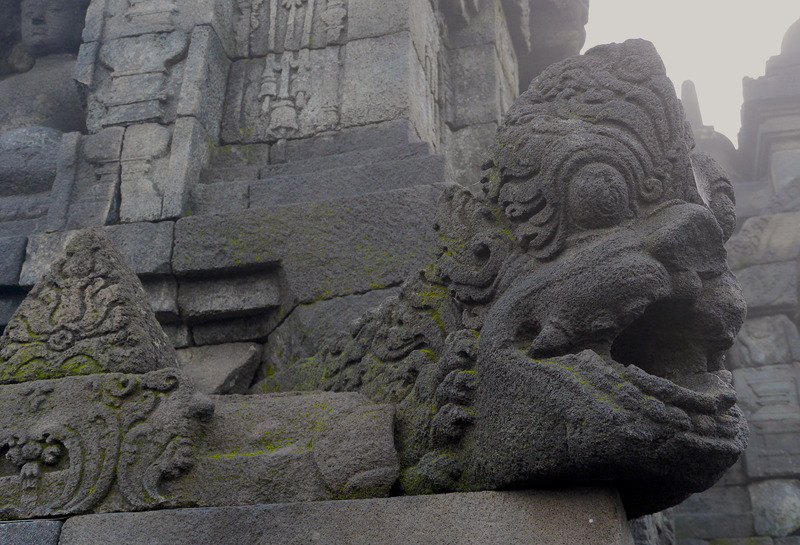 I really communed with the atmosphere of the temple and I wanted to explore it and the surrounding areas. Besides that, it was such a pain to get there by train and bus in the hot tropical weather, and I couldn’t bear to quickly sample, flag the experience, and move on. 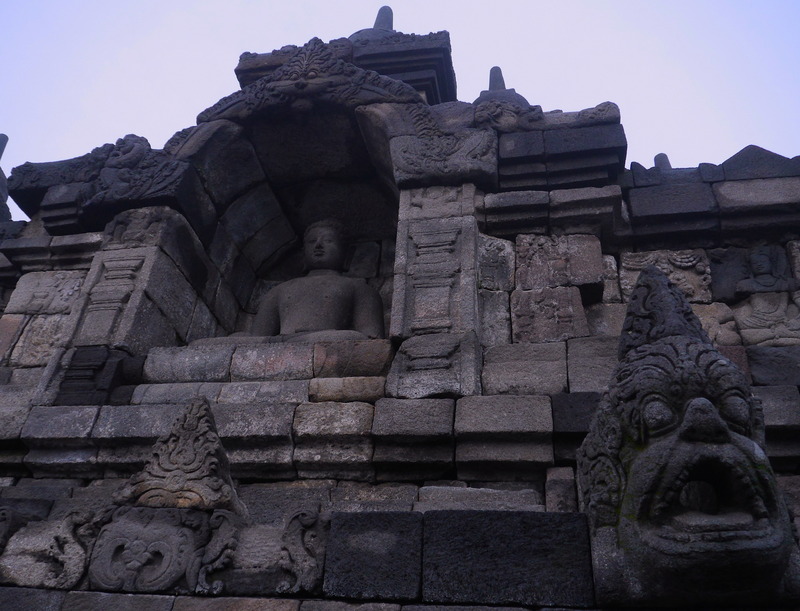 I recommend that you read my other post, for tips on accommodation in Borobudur.